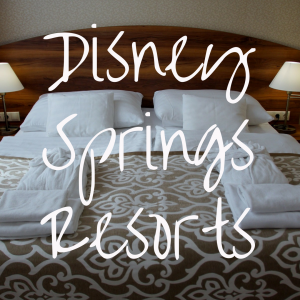 If you’ve never been to Disney World before you may not know where to start with planning. Even if you’re a seasoned visitor, it can be difficult to pinpoint some aspects of your trip. One of these things is figuring out the best time to go to Disney World. With this guide, you’ll learn everything you need to know about visiting Disney in September. Of all the months, September is probably one of the best months you can pick for your vacation. Right off the bat, you’ll see exactly why that’s the case. Firstly, the weather starts to cool down in Orlando around September. The heat of June through August finally subsides, dropping below the 90s for the highs and into the mid-70s for the lows. If you aren’t used to the heat, this may seem pretty high still, and it is. But by the end of the month the temperatures will really start to drop. September does fall in hurricane season, so you can expect rain at the very least. The weather has become more unpredictable over the years, so be sure to double check what the weather’s going to be like frequently before taking your trip. This is the biggest downside to a vacation in September, but don’t let it deter you from all the benefits of traveling to the parks in the fall. One of the biggest benefits of traveling to Disney in September is that kids are back in school. Unfortunate for them, but wonderful for your vacation. With school in full swing, the crowds at the parks drop significantly. Of course, if you’re bringing kids with you this presents a problem. Presumably your children go back to school when all the other children do, or at least in a similar timeframe. This can be difficult if you’re planning for a trip in September. They are your children, so you can take them on vacation whenever you wish but know that you might face some pushback from their teachers. If that doesn’t bother you, then you’re sure to enjoy relatively thin crowds! As mentioned previously, the crowds in September are much thinner than in the summer months. That doesn’t mean that all weeks are the same, though. The amount of people each week varies, just as they do in the other months of the year. End of August: It’s obvious that the end of August is not September, but some extend their end of August vacation to the beginning of September. This period is likely going to be the busiest week of the month. Everyone will want to get a last minute vacation in before sending the kids back to school. First Week in September: This is next busiest week in the month. Like with the end of August, parents will be trying to squeeze in one last week of fun before their kids go back to school. Schools are usually all back in session by the first week of September, so this first week will still be pretty busy. There’s also the Labor Day crowds to consider. 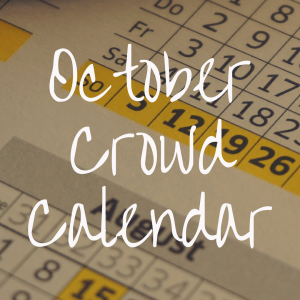 Second Week in September: Here’s where the crowds start to mellow. There are some days that are more crowded than others – usually the weekends – but for the most part, the parks are relatively calm. Third Week in September: The third week in September is your best bet for a peaceful trip. School is definitely in session everywhere, and the crowds really start to thin. Again, the weekends see more people than weekdays, but nothing compared to the earlier weeks in September. 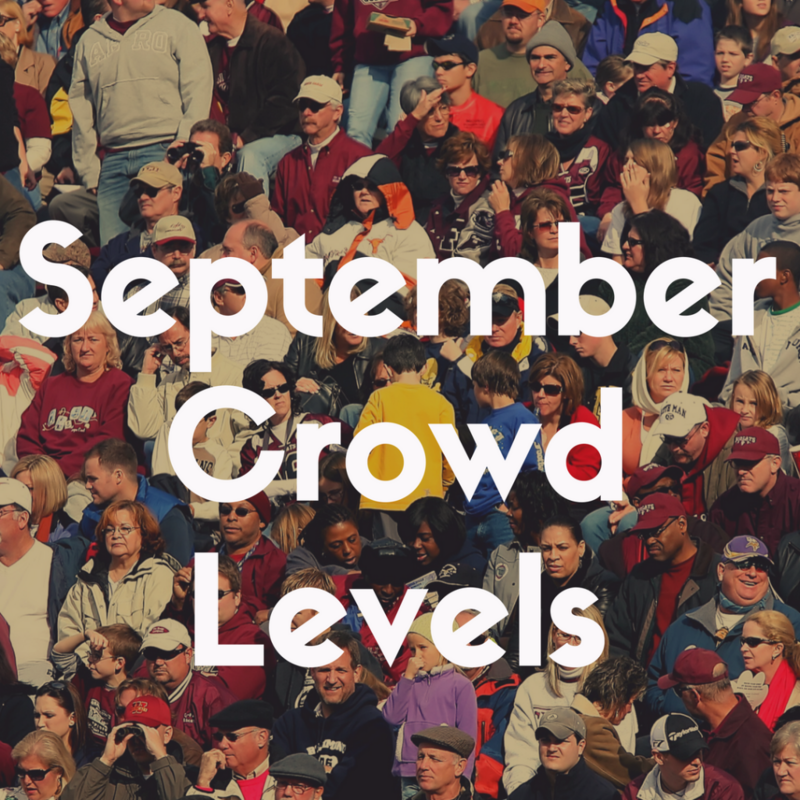 Fourth Week in September: The last week of the month experiences another rise in attendance. The weather really starts to cool down, so people flock to the parks. Still, the end of September is significantly less busy than the middle of July or August. After you’ve picked the perfect week for your trip to Disney, you’ll want to figure out a daily schedule. Each park has its own busy days and those can vary based on which month you decide to travel to Disney World. In September, you can generally expect Animal Kingdom to be the busiest park. The reason for this may be because of the cooler temperatures. Walking around Animal Kingdom in any temperature above 90 degrees is unbearable. Out of all the parks, it definitely has the least efficiency with keeping guests cool. There are water features to use as cooling stations, but all the animals present in the park really drive up the temperature. The best days to visit Animal Kingdom are Saturday and Sunday. Most people choose to spend the weekend at Magic Kingdom, so the other parks generally have less crowding. You could probably squeeze in an Animal Kingdom trip on a Friday, too. As stated, Magic Kingdom sees most of its crowds on the weekend. It’s one of the more popular parks for weekend trips because most of Disney’s special events take place here rather than one of the other three parks. Special events will be talked about later on in this article, so don’t worry about that just yet. The best day to visit Magic Kingdom is usually Tuesday. The weekend crowd subsides and the end of the week traffic doesn’t quite hit yet. Unless there’s something special going on in the park, Tuesday is a pretty safe bet for Magic Kingdom. Epcot is the second busiest park – again because of special events. It seems like the World Showcase always has something interesting going on, and because of that you’ll see more crowds. Usually, you can have a relatively peaceful day on Wednesdays. This is for the same reason as Magic Kingdom; the weekend traffic is lightening up, and the end of week crowds haven’t gathered. It’s the perfect sweet spot! That leaves Disney’s Hollywood Studios. This park flies below most people’s radar for some reason, so it’s relatively easy to find a good day to visit. You can plan to visit Hollywood Studios any day except for Thursday; that’s by far it’s busiest day. Again, for mysterious reasons unknown to vacation planners everywhere. 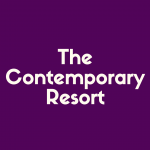 The only thing potentially more stressful than booking your trip to Disney is actually getting you and your family there in time for your hotel check-in. Whether you’re flying or driving, you’ll want to designate certain days to travel to and from the park before you schedule anything else. You may want to consider using the weekend as your travel days. It may seem counterproductive, but when you think about the busiest days at the Disney parks, the only thing you’ll be missing are larger crowds. Saving your traveling for the weekend ensures you get a full week of fun before heading out of Disney World. The same applies to longer vacations. If you’re spending two weeks in Disney, you’ll still want to arrive and leave on the weekend. Plus, if you’re going to Disney World on a budget and have to fly into Florida, airplane tickets for weekend flights are usually less expensive than week day tickets. Another major benefit of traveling to Disney in September is the wait times. Because there are less people in the parks generally, the lines will not be excruciatingly long. In the summer months, some rides can have an hour and a half wait – Splash Mountain at Magic Kingdom, for example. Splash Mountain has been known to exceed 90 minutes, getting as high as 120 minutes, for days in June. To put that in perspective, the usual wait time for Splash Mountain in September hovers around 20 to 40 minutes. You can use the Splash Mountain model for any of the lines in the parks. If the line at Splash Mountain is long, odds are the other lines are long, too. It’s best to ride more popular rides as early in the day as you can. You’ll be able to navigate through the rest of the parks at a leisurely pace after that. Other than Splash Mountain, Peter Pan’s Flight at Magic Kingdom, Soarin’ at Epcot, The Haunted Mansion at Magic Kingdom, The Twilight Zone Tower of Terror at Hollywood Studios, and Avatar Flight of Passage at Animal Kingdom rank highest for wait times. Getting to these rides early will ensure the rest of your day doesn’t feel too rushed or too sluggish. 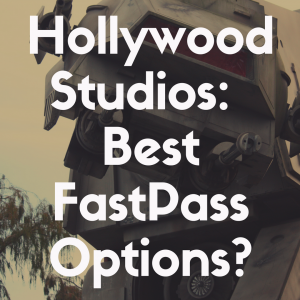 The FastPass+ system will also cut down on your wait times throughout the day. If you’re interested in all the different character meet and greets the parks have to offer, September is, once again, a great time to visit. Most character meet and greets start in the morning and extend into the afternoon. Some also have experiences later in the evening, but most characters are scheduled for meet and greets from 8:00 am to 2:00 pm. You should be able to meet everyone you want to in this timeframe. Your September trip is sure to be packed with special events for you and your family to enjoy. September has dates for Mickey’s Not-So-Scary Halloween Party at Magic Kingdom. You can participate in the fun on various days at the park if you can’t make it down for Halloween in October. There’ll be a parade, fireworks, and a special Hocus Pocus Villain Spectacular. You do need to purchase a separate ticket for the event, so if you’d like to participate in the festivities, buy your tickets for that ahead of time. You’ll also be at Disney World for Epcot’s International Food and Wine Festival. If you don’t have small children with you, this is a great way to experience Epcot. You really get a taste of the cultures present at the World Showcase. Unlike the Halloween event, you don’t need to buy any additional tickets. The event is included in your regular park admission ticket. Overall, September is a wonderful time to visit Disney World. The crowds don’t get crazy, the weather starts to cool down, and you’re free to enjoy the special events easily. The only week in September you should avoid is the first week; because of Labor Day and back to school crowds, all of the parks are more crowded. If you are alright with taking your kids out of school for a September vacation, then the last three weeks of the month are the perfect time to visit. 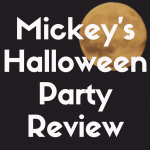 And, if you go closer to the end of the month, you’ll be able to participate in the Mickey’s Not-So-Scary Halloween Party and Epcot’s International Food and Wine Festival! The biggest downside to September is that it falls in Florida’s hurricane season. At the very least, you will experience rain on your trip. Storms can put a damper on your trip if you aren’t prepared, so be sure to bring plenty of rain equipment with you. A pack of ponchos and some umbrellas will do wonders in the hot Florida rain. Some rainboots are also a good idea. Other than that, September is the perfect time to visit Disney World. Wait times are low, crowds are low, and your enjoyment of the parks is high! You’re sure to enjoy your vacation to Disney no matter when you book it, but knowing you won’t be facing huge crowds will turn your good trip into a great one. 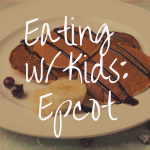 What Are the Best Places to Eat in EPCOT with Kids?